This is my last post in the series which I have been running on Monkey’s treasure baskets. Many of these I initially complied for him when he was six months old. 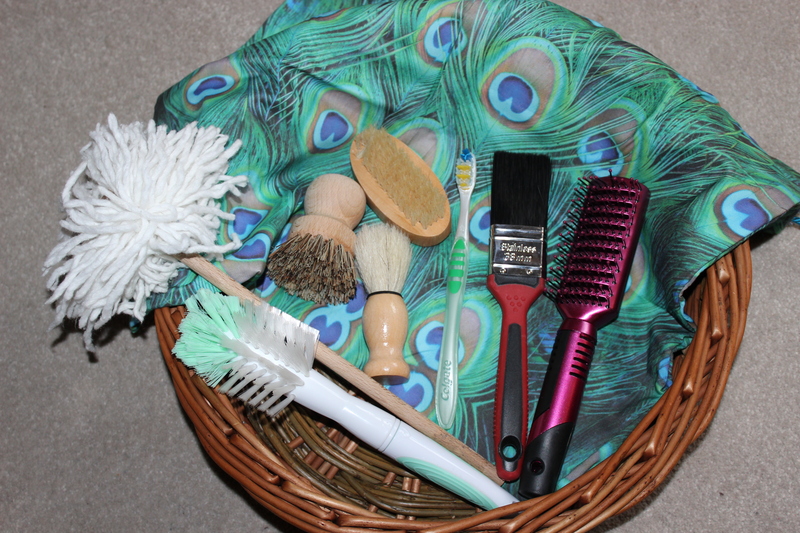 Treasure baskets are linked very much to Heuristic Play. This theory focuses on natural materials and allowing the child to explore the characteristics of the objects by smell, taste and touch. If you want to see the other posts in my series please use the links below. Please note that some of these items are not suitable for very young children due to choking hazards. I decided to post both the ‘hearts’ and the ‘brushes’ together as over the months many of the items in them have been repurposed back to their original hiding place in our home. So in their own right they don’t really warrant a post each. 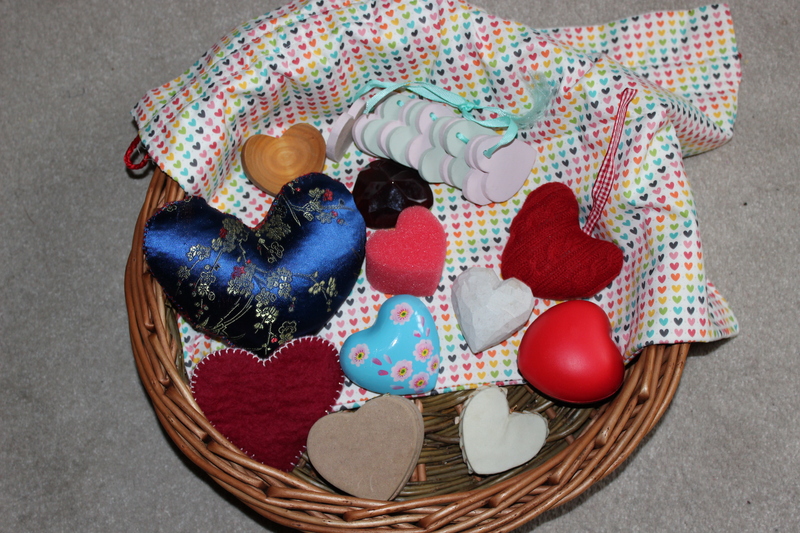 We store all of our treasure baskets in homemade drawstring bags, so the heart one true to form has hearts all over it and the brushes is made from fabric with peacock feathers all over it (not brushes I know but I fell in love with the colours). Not in the picture but also initially included and now hanging back in their places, linen fabric lavender hearts, large heavy oak heart, metal heart decoration and slate heart hanger. Monkey use to like to test the brushes on his hands and feet to feel the different textures and stir various items in pots and pans when given half the chance. We also had one which included lots of different types of balls – sizes, colours, weights, textures some that rolled well and some that didn’t. Including these two hopefully will give you ideas to add to your own collections. Just getting all these out and photographing has lead to Monkey investigating some of the items again. He’s shown so much interest that I am going to be gathering collections together for three years+ around certain themes, so please check back to read them or enter your email address to follow my blog to get updates straight into your inbox. These are so cool and your photos are beautiful. This is such a lovely idea, I’m pretty sure in our house they would end up strewn all over the place but I admire your organisation!